Özlem wants to improve her English, so she attends a local language school or uses some self-study products. She would like to attend an English-speaking university in Istanbul, and then hopes to come to the UK and do a master’s. Maybe then she’ll have better job prospects at home and abroad, maybe she’ll feel more comfortable travelling, maybe she’ll be able to enjoy arts and media that have English at their core. It’s a familiar (fabricated) story in the world of (language) learning. But how do we know any of these things are true? Have other people benefitted from this language school? Is she likely to improve her English at the university in Istanbul? How much of what type of studying has she done? And if she does get a qualification, does a potential employer know that it was even her who did the test or that she got the score she says she did? The short answer is ‘we can’t be sure’. Learning is hard to pin down and we are often reliant on the information that schools, agents and apps give learners, and on the info that learners give assessment organisations, universities and employers. Information like this is hard to verify and, crucially, likely to be manipulated to benefit different parties at different times. Even information which is thought of as reliable is centrally stored by established authorities (think ETS). Could this data be manipulated or hacked? Would anyone even know if it was? Enter distributed consensus, cryptocurrencies and smart contracts – technology which is set to revolutionise how we verify actions and transactions and the way that we trust information to be true. Underpinning all of this is the blockchain, an alternative way of managing data, and the technology that formed the basis of Bitcoin. There is a huge amount of discussion at the moment around the blockchain (see hyperbolic headlines such as this) and its potential to revolutionise a wide range of industries. Could language learning be one of them? The blockchain is a way of storing data in a system. Pre blockchain, this was generally achieved by storing the data centrally, with other systems accessing the information when it’s needed (e.g. all banking transactions are stored on the bank’s servers and accessed by us when we log on to internet banking). This relies on the trust of that central system and those who administer it. It also exposes the system to a risk of hacking and attacks by anyone who would benefit from the data, or its manipulation. The blockchain gets around this by being ‘decentralised’ i.e. not reliant on a central system. In a blockchain database, data is held in blocks. Each block contains timestamped batches of transactions (records of any changes to the data). 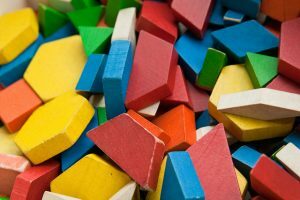 Each new block contains the hash (unique reference) of the block before it, therefore linking the blocks together into a chain. A chain of blocks of data, the blockchain. Each time a new transaction takes place in the system, a new block is created and a complete copy of the blockchain is held by every node on the system. Therefore, anyone trying to make changes to transactions or do things that they shouldn’t (e.g. tampering with past transactions, approving transactions that shouldn’t be approved) will be flagged up as invalid as they don’t match the copy of the blockchain held on other nodes. Let’s use Bitcoin to exemplify. Say I want to purchase a flight on Airbaltic with Bitcoin (this is actually possible), I make a transfer of funds from my bitcoin wallet to Airbaltic’s. News of this transaction is made available to all nodes on the system through a secret piece of data known as a private key (the data is encrypted so that the specifics of the transaction aren’t actually known to the system). The nodes on the system check this key against their record of previous transactions and a consensus is reached as to whether this new transaction is valid, i.e. whether I have the Bitcoin I’m claiming to have. This system effectively stops fraud and hacking as a record of all past transactions is held by all of the nodes in the system. The blockchain therefore allows multiple parties without full trust for one another to update records in a database, without an intermediary. It facilitates this by all nodes on the system storing a permanent, secure and immutable record of everything that happens and linking them in a chain, each block of the chain containing within it a unique reference to the block the precedes it. 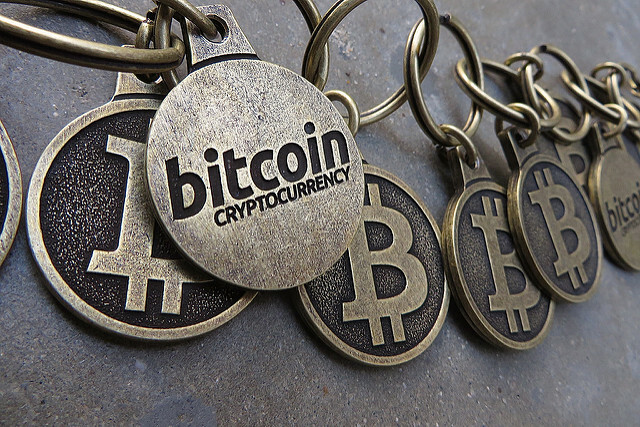 Blockchain technology was originally used to verify the transfer of Bitcoin in a way that was near impossible to hack or manipulate, and could be done anonymously. But recently the the amount of money, and media attention, being invested in the blockchain has overtaken the interest in Bitcoin and other cryptocurrencies. So what might be the wider uses of this technology and why are people getting so excited about the potential? Here it’s worth distinguishing between unpermissioned and permissioned blockchain technology. Unpermissioned is the type, mentioned above, that doesn’t rely on a central authority and can therefore provide an immutable record of truth available to all. Any node can interact with the system. Permissioned blockchain technology, by contrast, only allows permissioned nodes to interact with the system and is therefore centrally controlled to the extent that only certain nodes have access to the data in the system. This distinction has a big impact in terms of the potential benefits of the technology. For example, the finance industry has invested a huge amount of time and money in permissioned blockchain technology over the last few years. It’s seen as a way of establishing truth between these organisations on matters of will, land registry, insurance etc., rather than each institution having their own record, often on paper, which represents the truth as far as that particular organisation sees it. This reliance on multiple copies of paper in different physical locations represents a huge cost to these organisations, and one that a permissioned blockchain could drastically reduce. Services such as Proof of Existence allow users to store a proof of existence of a file on the blockchain. This is done without the file itself being stored anywhere other than locally on the user’s machine. The system stores a ‘cryptographic digest’ of the contents of the doc. This allows users to prove existence without sharing the contents of a document. It also provides proof of a document’s integrity and that it hasn’t been altered at all since a previous timestamp. Even the slightest change in the document will be recognised as a different document. 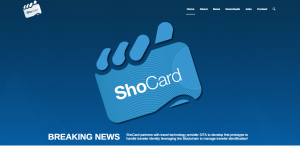 Companies like Shocard offer people a way to verify their identity with information stored on the blockchain. This means that the information is not made public, so users can protect their identity but prove it when necessary. The use of the blockchain makes the information so secure that banks are able to use it to verify identity and protect against fraud. Onename is a similar concept but allows users to register company and website identity as well as individuals. Here’s mine. 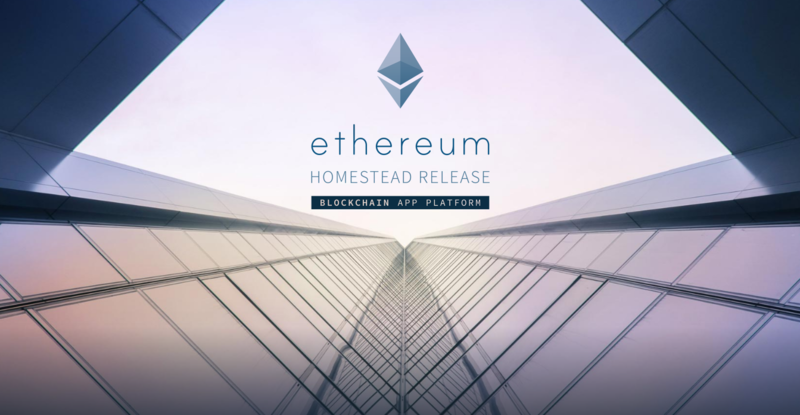 The Ethereum platform effectively makes blockchain technology open to everyone. You can create a wallet that holds records of value, debt, promises, etc. and also create ‘tokens’ and assign a particular value to them. According to the site, this could be “a currency, a representation of an asset, a virtual share, a proof of membership or anything at all”, meaning that there is a huge amount of flexibility with what can be recorded in this blockchain and how contracts are executed. Ethereum: Blockchain app platformSo smart contracts are effectively a sequence of ‘if this then that’ variables, with actions when certain conditions are met. Let’s take the example of renting office space. In a regular contract, I will agree to rent the space at a certain price for a certain period of time. There will be conditions about when I must pay and how I can get out out of the contract if I need to. This will be signed and held on paper (generally one copy with me and one with the lender). This relies on a trust between the two parties, or for one central party to be the authority, e.g. a letting agent. This creates problems of trust. Would the letting agent be more likely to side with the tenant or the lender? What happens if one or other party loses their piece of paper? A smart contract gets around this, but also adds a huge amount more flexibility in terms of how the contract is set up. Clauses could be added to make sure that rent doesn’t increase above inflation, or that cleaning staff should attend the property on a defined regular basis, or that there are conditions attached to late or early, or regular payment of rent. These conditions can be added easily, monitored and triggered automatically and remain completely immutable. Records of qualification – a ledger of the qualifications that a learner has attained, when they took the test, what scores they got, etc. 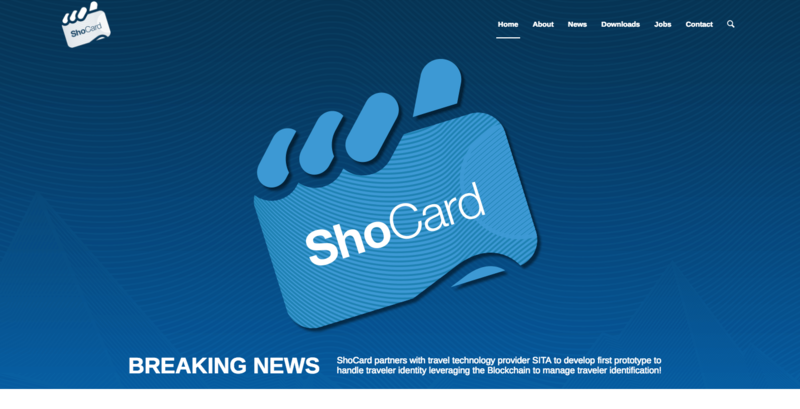 This could form part of a digital identity such as Shocard, or potentially be data stored in a permissioned blockchain accessible by universities and other institutions with enrolment criteria. The ability for individuals and their schools to input this information into the database would remove the need for central authority to hold the records. There would need to be fairly robust ways of making sure that the results were accurate when input; this would be a significant challenge. School database for multiple centres. Schools could create permissioned blockchain databases of learner behaviour across different centres, and pre- and post-booking connections to the school. This could get around the fact that different centres might not 100% trust each other (targets to hit, competition for supremacy etc may cause this) and would make sure data isn’t manipulated and is available to all. Smart contracts for publishers. Smart contracts could be set up to facilitate any royalties or revenue shares between publishers and suppliers, partners, authors and freelancers. One of the difficulties with the royalty model in the past was the effort involved in managing and executing the contracts that had been created. Smart contracts would significantly ease this burden and might make the royalty model, in some form, more attractive again. Smart contracts would also allow royalties to be connected to use of specific content rather than just copies sold or distributed. Or even how much content was enjoyed, appreciated or benefitted from. This is especially true with online content that can be rated by learners, and pathways of learners tracked and analysed. Blockchain is surrounded by a lot of hype and we’re sure to see a great deal of pointless bandwagon jumping (see this article on avoiding making pointless blockchain products! ), but there is clearly a great deal of potential too. Over time, will this potential prove only to serve big business and the ever-increasing capitalisation of education? Or could it manage to shift power towards learners and educators? What will the impacts be on education, and specifically language education, and how long until we see these impacts? At this still fairly early stage in the evolution of blockchain technology, it’s easy to end up with more questions that we began with. But if we look back to the example of Özlem, we are an industry which struggles with issues of verification and trust and as assessment has an ever-growing impact on education, this is only set to increase. Could blockchain help ELT come to terms with trust and validation as we move further into the digital age? It will be interesting to find out. Wow, I have finally understood how Bitcoin works! And this is by reading an ELT related article 🙂 Thank you Jo Sayers for such a good job explaining blockchains. I can’t believe this article is nearly 2 years old!!! Just shows how slow ELT world at adapting to new technologies. Great article about edtech trends in 2018 by the way.